Minute Men HR payroll customers have the option to offer secure Employee Self-Service access to their workforce. This feature can help your company implement a Green Payroll while reducing the administrative burden associated with fulfilling employee data requests for information. 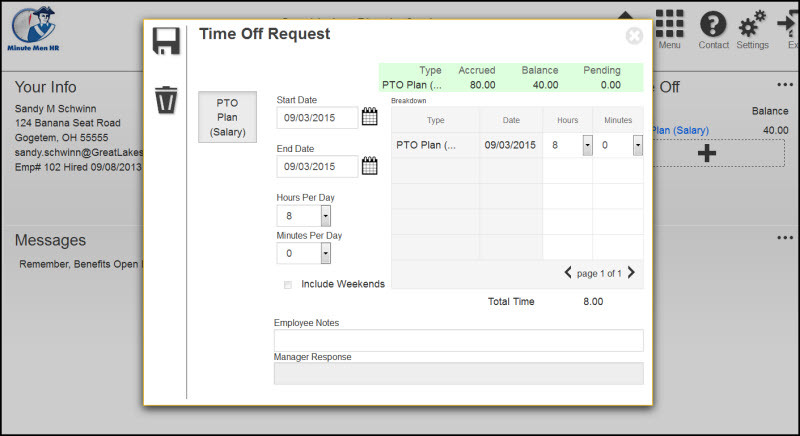 Employees with Full-Access are able to put in address changes and requests for time off, but built-in workflow must be approved by a designated supervisor before the payroll software is updated.